The prestigious Parkstone Open takes place this weekend (23/24th). For those new to the class, this is the perfect playground for moths with flat, sheltered waters. Assuming the winds are not too strong, it’s a really good testing ground topped off with a chance to meet possibly THE most amiable character in the history of the UK fleet… Sir Rod Harris who is rejoining us after a prolonged absence. I’ll be down to help out and of course be there for the Saturday evening. This is THE open for normal, down to earth mentally (un)balanced moth sailors. Poole Harbour is EPIC, pure class. We have floor space , in the North and South wing. You can sleep with Norman, he’s not fussy. Fri night, it beggineth, probably pub food/Indian/Chinese/Thai/. Sat night. Ken has booked a table for twenty (only), at the Cow brasserie and laid on a live band. Pole dancing display, all genders (such are these times) is available. Sun night. Should you be an old git/retired, just tired, DSS, on leave from HMP, run away from home, been thrown out etc etc, you are welcome Sun night too. Breakfasts – available at place of temporary abode, PYC and south deep cafe next to club, bacon rolls will be available at the club from 9-11:30. Lunches – can be delivered by rib (silver service). Air dropped. Fees apply. garages/carports/airports all available dependent on severity of need. Though as you are all vaguely competent I’m sure nothing will break…. Complete coverage of the event will be provided by Foil dog films and others. 1st prize – solid sterling silver Moth Cufflinks created by WHY Jewellers. 2nd, 3rd, etc. Various receptacles to hold alcohol, tea, etc. 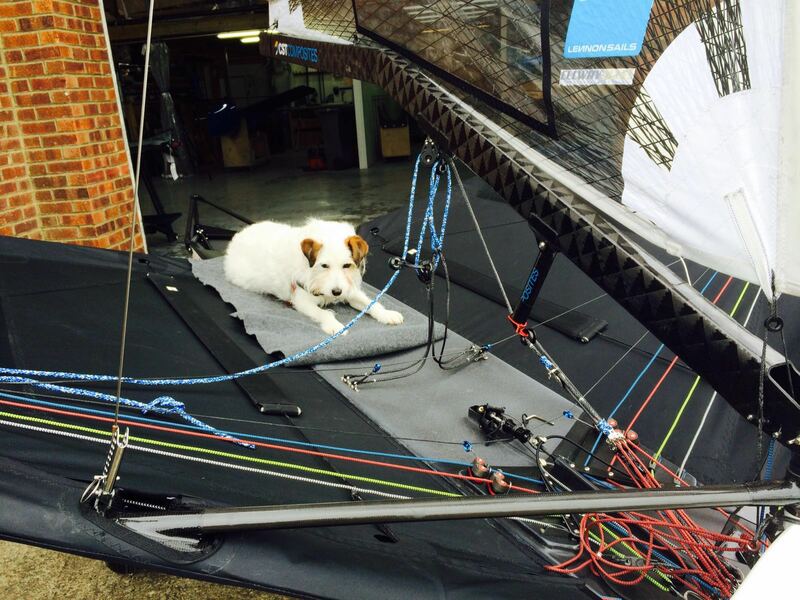 Norman the worlds first foiling dog looks forward to welcoming you all soon!